The holidays are associated with good times. Family and friends come together to eat together, exchange gifts and celebrate the holidays. Whether you will be celebrating Kwanzaa, Hanukkah, Christmas, New Years or more than one of these holidays, you can be sure that you will need to have more food in your home, maybe entertain some guests, purchase gifts for loved ones and decorate your home. This means that the holidays are also synonymous with spending more money. 1-800-Flowers is a company that usually has opportunities especially around the holiday season. They are usually looking for virtual agents who will take orders from customers as well as sell their products. The work is temporary but you can work full time with a pay of about nine dollars an hour. If you speak Spanish the pay is more for you. The work is not in all the US States but some, so simply check to ensure that your State is among them. Another flower company that is usually hiring about the same time is Teleflora. They too hire online florist and your work would be to take customer orders to and to sell via telephone. Your pay can be between eight and eleven dollars. You are trained before you start the job which means that you are set up for success. Ensure that your State is listed in the hiring States before signing up. One of the ways that you can begin making some holiday money is by doing microjobs. The jobs are simple tasks such as making a delivery, reviewing the content posted on a website or something as easy as re-tweeting a post or several posts. You can visit sites like Task Rabbit –Read more, Fiverr and Mechanical Turk managed by Amazon. Ebay is a market place that is open to all. This is a great time to go through your home and find things that you can easily sell on Ebay and make some of that extra money that you need. Look for something that has value and that can be of use to others. You may also consider becoming an affiliate of Ebay. Once you have set up your own store, you can then auction off items that are being sold by others. You can look at programs such as BANS or Build a Niche Store. Dog sitting is another job that can make you some money before the holidays roll around. If you have a nice sized backyard that has a fence you can have dogs brought over to your home. However, even without that, you can begin dog walking services as well. You can make as much as twenty five dollars per dog per day. That’s quite a bit! To get started, simply sign up with sites such as Dog Vacay, Rover and Pet Sitters and International. If you enjoy trivia or finding information about different things, then consider taking up a job that involves finding answers to online questions. If your answer is correct and provided in a timely fashion you can earn between fifty cents and twenty dollars for each one. Sign up with websites such as Cha Cha, Experts 123, JustAnswer, IMShopping and HelpMe to get started. If you have good knowledge of accounting, business and finance you can work with Smallbiz Advice providing answers in your field and make lots of money that way. You may also consider doing some freelance work making use of your dormant skills. This could be accounting, writing, graphics and website creation among other skills. In order to get started doing this sign up on Upwork, oDesk and Freelancer which are websites that have such jobs just waiting for you. You will need to sign up and set up your profile and then you will have access to the various jobs earning as little as fifty dollars to five hundred dollars or more per project. If you have extra room in your home, you may want to consider renting out the space to make the extra money. You may also be able to sub-let your office space in order to make some more money for the holidays. Signing up on websites such as FlipKey, Airbnb, HouseTrip, Desktime and HomeAway are a wonderful place to begin your search. You need to take some pictures and then post your space for others to see. You want to ensure that the site can vet the travelers coming over to ensure your protection. It is possible to make anywhere from forty dollars a day or two hundred and fifty dollars a week by simply renting out space in your home. If the space is an office space then you can charge around ten dollars for every visit or even five hundred dollars a month. You may also want to consider working as a website tester. These is where you simply go through a website and see how easy it is to move from one page to the other or how quick it is to find information on it. The company wants to know that information can be found easily by those who visit the site. You can find this kind of work on websites such as YouEye, Whatusersdo and UserTesting. You can earn anywhere from five dollars to ten dollars to carry out a test of fifteen to twenty minutes. 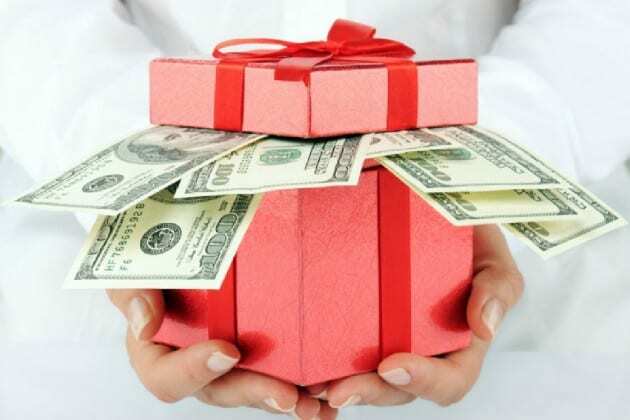 Perhaps one of the easiest ways to make money for the holidays is by taking online surveys. The pay ranges from a dollar to five dollars for each survey that you complete. It is quite possible to make as much as fifty to seventy five dollars each week. Sites to get you started include Opinion Outpost, Cash Crate and Paid Viewpoint. It is best for you to have a profile on several different websites and when you receive an email, respond as fast as possible. There are many people who are pretty artsy craftsy and if you are one of them then it is possible to sell your goods on the internet to make some money for the holidays. Some of these include homemade soaps, candles, deodorants and more. The best place to sell is on Etsy. The charges are lower and so are the commissions that they take. You may also want to consider Bonanza and eCrater which will not charge you to post your listing. Big Cartel is another company that will charge you a fee per month but will not take any commission. Those who enjoy teaching or tutoring can also make some money doing the same online. You need to have a bachelor’s degree before you can sign up to tutor but opportunities are waiting for you on websites like Smarthinking and Tutor.com. You can make between ten and fourteen dollars each hour that you tutor. If you are a teacher or educator you can make money on Teachers Pay Teachers where you can simply sell the lab activities and lesson plans that you have created. If you have worked as a virtual assistant or in customer service, this can be a lucrative way to make money during the holidays. They have clients who are in a variety of industries looking for people with your particular skill sets to work around the holiday season. You can be sure that you will be well trained prior to commencing. Other companies that offer similar work include Zirtual, Worldwide 101, and Time Etc. Those who enjoy testing free products can also find great product testing opportunities. You will be testing name brand products and sharing your personal experience. The pay is between $3 -$150 depending on the company, once you complete your product review . The sites to consider are Bzz Agent, Toluna and more reputable product testing sites. It is possible to earn a good amount of money with minimum effort. 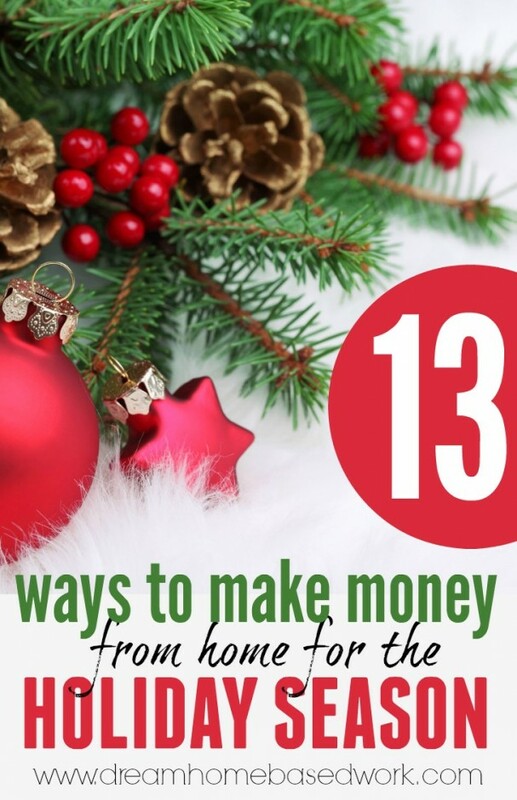 With these listings almost anyone can find something to do to make some extra money for the holiday season. Find what you enjoy and start working. Still Need More? Check out this list of work from home seasonal jobs from Ashlee at Work from Home Happiness. These companies offers jobs to individuals looking make money for the holiday season.